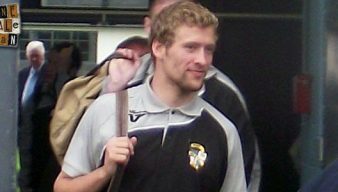 Martin Foyle was a legendary forward for the Valiants who scored over a hundred senior goals. 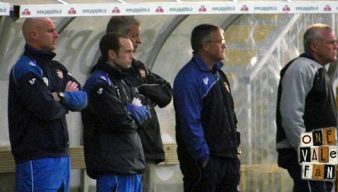 He later went on to coach and manage the side. The Valiants secure a memorable televised FA Cup first round win over their neighbours Stoke City. There are quite a number of former Valiants at new clubs this summer. Here’s an update on how some of them are faring. Watch a news report on one of Vale’s finest league cup hours – an honourable draw at Anfield in front of 8,000 travelling Valiants. We look at the news reports following Vale’s 3-1 FA Cup win over Stoke City in 1992. This clip includes – footage of the Regis miss, that Foley challenge on Aspin plus interviews with Bill Bell and Martin Foyle. York’s local newspaper, the Evening Press has named two former Vale players as winner and runner-up in their annual awards. With the season behind us, there are plenty of moves and news throughout the leagues. OVF picks out several stories featuring former Valiants. Watch the highlights from Vale’s first home game of the 1993-94 promotion season, when the Valiants hit six past strugglers Barnet. Released James set to join Hereford? 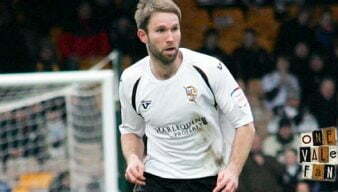 The Bulls News website claims that former Vale midfielder Kingsley James is set to sign a contract with Hereford United. 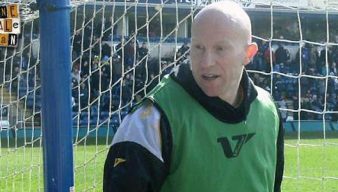 Port Vale playing legends Andy Porter and Martin Foyle have linked up for a second time to form Hereford United’s new management team. 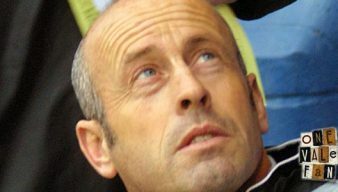 Former Port Vale playing legend, coach and manager Martin Foyle has been named as the new manager of Blue Square Premier side Hereford United. 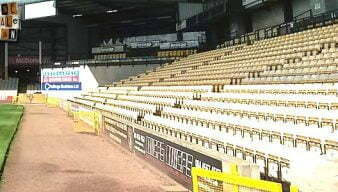 Wednesday 2nd May 2012 marks Port Vale legend Martin Foyle’s 49th birthday. To celebrate, OVF have taken a look inside the OVF Vaults and reproduced this exclusive 2011 interview with the great man.